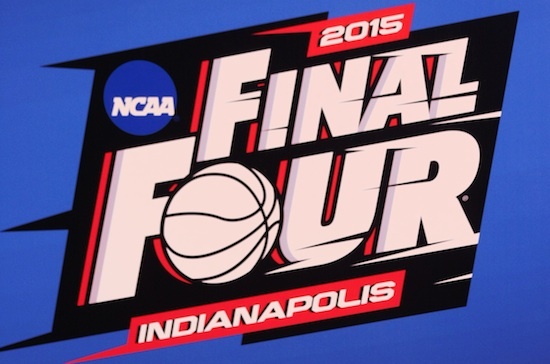 Is winning a conference tournament a precursor to the Final Four? Since 2000, there have been 52 different teams that have made it to the Final Four in the NCAA men’s basketball tournament. Over that timeframe, just under 54% of those Final Four teams (28 of the 52) played in their conference tournament championship game the week prior to the NCAA tournament. Twenty-three of the 28 won their conference tourney. Of this year’s Final Four teams, Rick Pitino’s Louisville squad was the only one to win its conference tournament (they won the Big East Conference tournament); Kentucky and Ohio State both lost in their conference title game, while Kansas was defeated in the Big 12 conference semifinals. 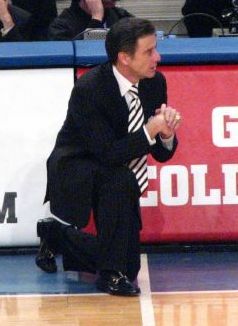 In 2011, three of the Final Four teams won their conference tournament (Connecticut, Butler and Kentucky) and the fourth team, VCU, lost in the title game. 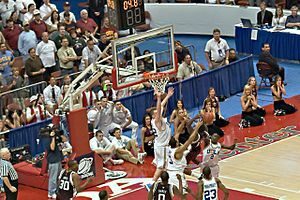 In 2010, again three Final Four teams won their conference tournament (Duke, Butler and West Virginia) while Final Four participant Michigan State was defeated in the quarterfinals of the Big Ten tournament. Following are how well the Final Four teams since 2000 (the last 13 tournaments) did in their conference tournaments prior to the NCAA tournament. Did you know? Of the 12 teams that won the NCAA championship this century (2000-2011), eight won their conference tournament. The other four, North Carolina in 2009, North Carolina in 2005, Syracuse in 2003 and Maryland in 2002, all lost in their conference semifinals. Did you know? The last year when none of the Final Four teams won their conference tournament was 2009. Sports Stats ‘on Tapp’ is a sports statistics blog published multiple times weekly that focuses on stats that go beyond the numbers. The NCAA men’s Division I basketball tourney second round begins tomorrow with second round games on Saturday and Sunday. Here’s a look at how the seed matchups have played out in the second round in the past 10 tournaments (2002-2011). Also listed is how well each of the 16 seeds have fared in second round games in the last 10 years (Beware the #12 seed if they get in to the second round!). Sports Stats ‘on Tapp’ is a sports statistics blog that is published multiple times weekly looking at stats that go beyond the numbers. With their number 2 seed in the NCAA Midwest regional this year, the Kansas Jayhawks extended their current streak of receiving a #1, #2, #3, or #4 seed in a region for the 12th straight year. The last time Kansas was not a 1, 2, 3, or 4 seed in a region was in 2000 when they were the #8 seed in the East region in that tourney. Four other schools this year received a top four regional seed for the third straight year (or more). Duke is a #2 seed in the South, giving them five straight years with a top four regional seed. Syracuse is the #1 seed in the East, the fourth straight year they have been a top four regional seed. A pair of Big Ten schools, Ohio State and Wisconsin both received top four regional seeds this year (Ohio State #2 in the East; Wisconsin #4 in the East) giving them each their third straight top four regional seed. Did you know? Six different schools have been a number 1 in a regional three or more times since 2000. Leading the list is Duke which has been a number 1 seed eight times in the last 13 years. They are followed by North Carolina and Kansas with five, Kentucky with four, and Stanford and Michigan State with three.